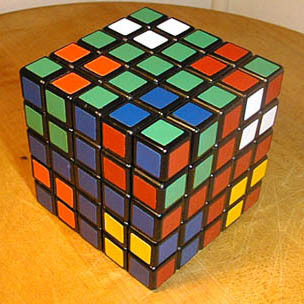 Imagine you could grab a corner of a solved 5x5x5 cube and rotate it clockwise. Do that eight times to get this pattern. 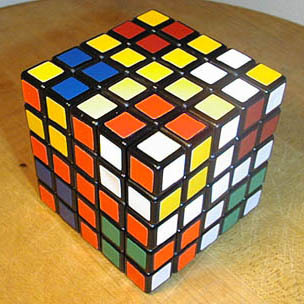 Of course, I had to actually solve the damn thing by turning the cube layers as normal, but you get the idea.